Studies have shown that companies who employ people from diverse backgrounds outperform industry norms by 35% – so, is your company’s workforce diverse enough? Employee diversity is no longer just a matter of fulfilling quotas and creating corporate social responsibility campaigns. A diverse workforce is a sign of a healthy and inclusive culture and has been proven to have higher rates of productivity and achieve business goals more effectively. Moreover, diverse teams bring together different skills and perspectives, resulting in fresh ideas and innovative problem-solving. Watch our video and learn how diversity increases your company’s profitability. 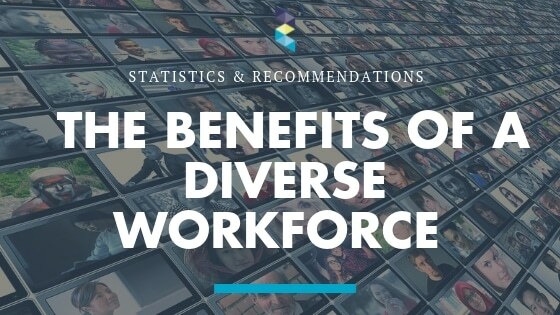 There are measurable differences that result from diversifying your workforce that can have a positive impact on your company. Diversity increases employee satisfaction as well as the profitability of your business. We collected the latest data and we want to share it with you. Companies in the top quartile for gender diversity in their executive teams are 21% more likely to experience above-average profitability than companies in the fourth quartile. Research shows that the correlation between above average financial performance and ethnic diversity holds true, as racially diverse companies outperform industry norms by 35%. Companies ensuring gender equality bring in 41% more income. And, gender diversity helps companies attract and retain talented women. Bilingual and multilingual employees earn on average 10% higher salaries than those earned by monolingual employees. Studies show that there is a robust correlation between innovative companies and market growth. In fact, diverse companies are 70% more likely to capture new markets. We at Zocket believe in the power of diversity and all the benefits it brings to your business. This is why we developed a set of tools to help you to attract and retain a diverse workforce. Creating a diverse team starts with reducing bias in your recruitment process. We conduct a thorough candidate experience assessment in order to identify any hidden biases in your application process and improve your online candidate journey. This will allow your company to identify holes in your application process that may be deterring valuable candidates along the way. Our white-label HR tech platform, Zocket Powered, incorporates blind applications which reduce biases and makes your company more appealing to a wider talent pool. It also helps promote internal mobility, which will encourage top-notch employees to stay with your company long-term. Are you ready to diversify your workforce? Contact us or book your free demo to learn more about how we can help. Curious about the Candidate Experience Assessment and Zocket Powered platform? You can watch videos about them right below!